The second in a series of blogs, A Question of Science, which looks at changes in the way we assess the health of one of our most important prey species. I started following and attending Atlantic menhaden stock assessments on a regular basis in 1999. 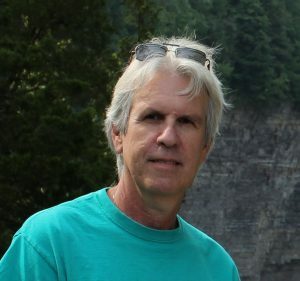 That same year, as a member of the National Ecosystem Principles Advisory Panel, I’d helped write the panel’s Report to Congress, Ecosystem-Based Fishery Management, in which we’d recommended that a first important step toward EBFM would be considering predator-prey relationships within fishery management plans. Also that year, I organized a workshop, Conservation in a Fish-Eat-Fish World, bringing together scientists and policy makers from up and down the east coast to explore ways to manage related predator and prey species. We used the well-known link between striped bass and menhaden as a case study. What confounded me from the start was why scientists advising the Atlantic States Marine Fisheries Commission kept reporting that menhaden were abundant, when it seemed to me, and quite a few others, that the signs of decline were unmistakable. 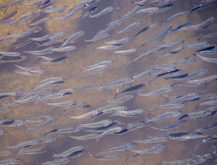 Widespread concerns about the lowest numbers of menhaden on record, as consistently reported in those same assessments, were amplified by signs of stress in dependent predators, most notably striped bass and osprey in the Chesapeake Bay area. Still I prodded and probed. The assessment team listened with faux patience, as one does to a child you hope will someday understand. And then I did. An independent panel of scientists reviewing the 2010 stock assessment pulled back the curtain. The problem was not the assessment per se, but the reference points the scientists were using to detect overfishing. 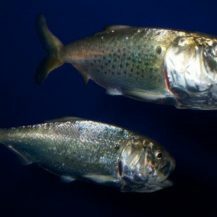 The reviewers advised the ASMFC’s Menhaden Management Board that the reference points were set far too low, giving the Board a false sense of security. The peer review panel recommended that the Board raise the bar in order to provide the stock with better protection. The following year, based on that advice and bolstered by overwhelming public support for leaving more menhaden in the water as prey for striped bass and other predators, the Board re-defined overfishing. New reference points were adopted – abundance targets and fishing mortality limits more conservative than the old ones, more in line with those used for other species of fish (although still not up to the then-emerging standards for important forage species like menhaden). 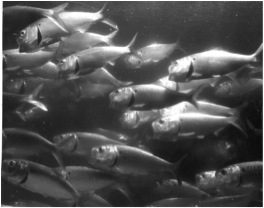 When the new reference points were applied to the 2010 assessment, the menhaden stock was declared “overfished.” The Menhaden Board responded in 2012 with regulations to stop overfishing and, notably, “increase menhaden abundance and availability as forage” (emphasis added), cutting the coast-wide catch by 20%. That was a savings of 50,000 tons or about 250 million fish a year. Implemented in the 2013 fishing season, the lower menhaden quotas were to stay in place through at least 2015, when another full stock assessment would be completed and catch levels revisited, if necessary. But before we get to the results of the 2015 assessment, let’s first reflect on the effect of the 2012 management decision on the Commission’s confidence in the science, because even as these landmark changes to the way menhaden are managed were being drafted, the menhaden stock assessment was coming under increased scrutiny. First, in a routine update in the summer of 2012 – basically a ‘turn of the crank’ assessment where the most recent years of data are plugged into the base model – the assessment team tried some alternative, best-case-scenario assumptions about how many fish might really be out there; basically, estimates of fish the fisheries and the surveys being used might be missing (as if they were actively looking to find more fish). With these scenarios in mind, in early 2013 – just as the new catch restrictions were set to take effect – the menhaden scientists backed away from their previous conclusion that menhaden are being overfished, instead telling the commissioners they really couldn’t be sure. In the next part of our series, A Question of Science, we will begin looking at the changes in the assessment, the thinking behind them, and how decisions on the science are influenced by management considerations. Conservation In A Fish-Eat-Fish World, 1999. National Coalition for Marine Conservation (NCMC). Proceedings of the Atlantic States Marine Fisheries Commission Atlantic Menhaden Management Board, February 5, 2014. p. 22.